One of the biggest news items in the Australian property market has been the drying up of bank lending, and the emergence of non-bank financing as an alternative. Our inaugural conference on non-bank financing will establish an industry-wide network to discuss the financing problems faced by developers, property marketers and agents trying to manage settlement pipelines. In addition, Basis Point is also facilitating a “matchmaking” process for introducing developers with projects to fund, to non-bank groups with money to lend. Participation in the matchmaking process is free for qualified lenders; borrowers will be charged a fee for any monies lent or invested into their projects. What caused the huge increase in the number of non-bank lenders? Is this a good or bad thing for the Australian property sector? How is this changing the face of lending in the property market? Who are some of the new players entering this space? How do you know when and where to lend? What happens when things go wrong? What factors increase the likelihood of getting non-bank lending? What types of deals are actually getting done? Is there a difference between private lending deals and financing from non-bank lending firms? 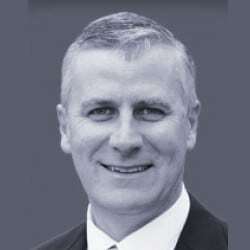 Michael McCormack is the Australian Minister For Small Business. He was elected as The Nationals’ Member for Riverina in 2010. He served on the Parliament’s Regional Australia Committee and proudly fought for local communities by advocating against the importation of New Zealand apples in 2011, moving a Disallowance Motion against the Murray-Darling Basin Plan in 2012 and successfully lobbying against the proposed takeover of GrainCorp by American multi-national Archer Daniels Midland in 2013. Following the 2013 Federal Election, Michael was appointed Parliamentary Secretary to the Minister for Finance. In 2015, he was appointed Assistant Minister to the Deputy Prime Minister. In this role, Michael worked alongside The Nationals’ Leader and Deputy Prime Minister, Warren Truss, in the administration of regional development programmes. Adam McKissack is currently Principal Adviser in the Foreign Investment and Trade Policy Division of Treasury, where he leads a team advising the Government on trade and investment policy as well as major cases before the Foreign Investment Review Board. From 2010 until early 2015, he held the position of Senior Treasury Representative at the Australian Embassy in Beijing. In this position he represented the interests of Treasury in China in areas such as economic reform, foreign investment, financial services and taxation. Adam has held various other roles during his time in the Australian Treasury and other public sector agencies. Chris Andrews is Vice President and Head of Funds Management for the La Trobe Financial Group and has responsibility for the La Trobe Financial Australian Mortgage Fund. 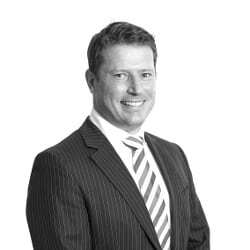 Chris joined La Trobe Financial in 2006 from Minter Ellison Lawyers, where he worked as a solicitor for six years with a broad focus on litigation and corporate advice work. Chris was Senior Legal Counsel for the La Trobe Financial Group between 2006 and 2009, before taking up his current position. Chris is a regular and sought-after commentator on economics, investment and finance with a particular focus on the senior property debt asset class. Prior to co-founding Development Finance Partners Pty Ltd, Matthew Royal was an Associate Director of Property Finance, QLD with Bankwest Business, facilitating mortgage structures up to $100 million. Matthew was previously appointed as the Managing Director for Urban Securities Corp Limited, a Brisbane based property Development Company. Over the past 10 years Matthew has held executive and non-executive directorships in numerous private and public companies. Matthew has extensive experience in the Property Development and Investment industry; he has exceptional knowledge and understanding of the financial criteria and methodology used in assessing Property Development and Investment proposals. Matthew has participated in the negotiation and consummation of numerous significant Property Development and Investment acquisitions and Joint Ventures, as well as being responsible for the finance raising and due diligence enquiries and processes within DFP. 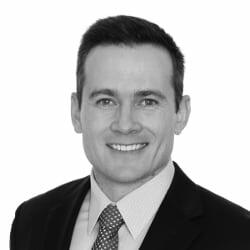 Drew is responsible for business development and portfolio management in New South Wales and is a member of MaxCap’s Audit, Risk and Compliance (ARC) Committee. He over 25 years’ industry experience in primary and secondary real estate capital markets. Past roles include directorships specialising in real estate (RE) finance & loan markets origination and commercial RE equity and debt investments with Pepper Group, Macquarie Bank, The Royal Bank of Scotland and First Australian Capital. 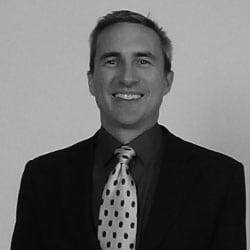 Drew is a registered property valuer and a Fellow of the Australian Property Institute. 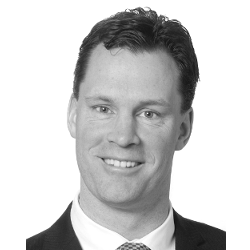 John Poulsen is the Australian Managing Partner of Squire Patton Boggs, a global law firm with 46 offices in 21 countries around the world. John has led the firm from being the branch office of an Australian firm to the Australian office of a global firm, the opening and growth of offices in Sydney and Darwin and at the same time increasing staff engagement, revenue and profit growth. John’s practice centres around finance and corporate advisory, including private debt transactions. 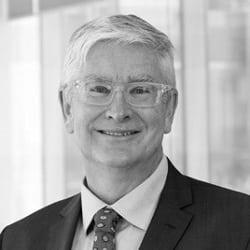 He serves on a number of Boards, including Leukaemia Foundation Advisory Board, Tristan Jepson Memorial Foundation Advisory Board, ISTIH, 12 Buckets, and the Murdoch University School of Law – External Advisory Board. John served on the Serco Asia Pacific Advisory Board from 2012 to 2016. He is a CEDA Honorary Trustee in acknowledgement of his contribution to CEDA over the years, including 7 years as WA State President and a member of the National Board. Richard An is a partner with Chance Bridge Partners, a Beijing law firm focused on Chinese outbound foreign direct investment. 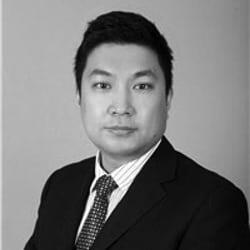 Richard has extensive experience in cross-border trade and investment, and is a qualified lawyer in both China and Australia. Richard specializes in inbound and outbound deals, including the establishment of joint ventures, equity transfers, foreign M&A transactions, liquidations, and a variety of other transaction types. With years of practice in foreign investment, Richard has successfully advised on investment transactions in many countries, including Hong Kong, Indonesia, Saudi Arabia, Argentina, and Australia. 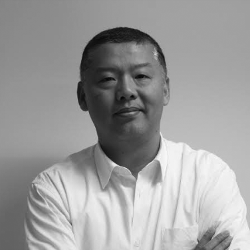 Vincent Lim has more than 20 years’ experience as a corporate and commercial lawyer and is a director of VTS Lawyers. He is a trusted adviser to many high-net-worth individuals and company directors in Australia and in Asia. Vincent previously worked at Ashurst, one of the leading law firms in Australia. 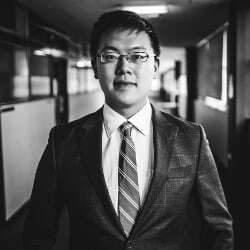 He graduated from the University of Sydney with a Bachelor of Economics (majoring in Accounting), a Bachelor of Laws and a Master of Laws. 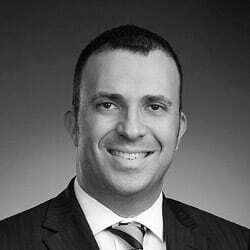 Vincent also holds a Graduate Diploma in Applied Finance and Investments from FINSIA (Financial Services Institute of Australasia) and he has been a Fellow of FINSIA since 2002. 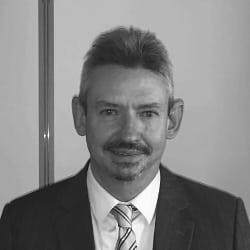 Vincent’s legal expertise and experience and his knowledge of accounting, law and finance will be of considerable benefit and assistance to SIV investors. Conghan is a founder and director of Zank & Co, an asset management firm headquartered in Melbourne. Zank has a global reach, with particular emphasis on the Australian and Chinese markets. The firm has taken a significant position in the non-bank lending market, with a focus on property development. Conghan is a graduate of the University of Melbourne, with a master’s degree in Finance. He is a recognized expert in the field of machine learning and data mining as applied to portfolio management and evaluating standards of investment strategy. Before co-founding Zank, Conghan worked for First Guardian Capital. He is Zank’s senior risk control officer and has oversight on managing the firm’s Australian property development projects. Barry Kogan is a partner with McGrathNicol, an advisory firm focused on corporate restructuring and insolvency. He has substantial experience in both formal and informal insolvency appointments including receiverships, voluntary administrations, deeds of company arrangement, liquidations and investigations, across a range of industry sectors. Over his career Barry has had a number of client secondments including to the Australian Securities and Investments Commission and the Institutional work-out team of a major trading bank. Barry has acted as the receiver or administrator for a number of high-profile business restructurings and insolvencies in Australia. Christopher Scott Price is a serial entrepreneur and an active property investor and angel investor. He is the founder and CEO of PropertyShares, one of the largest peer-to-peer real estate lenders in Australia. 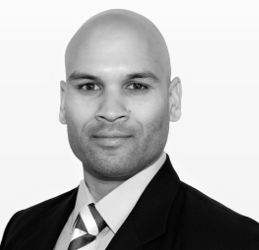 Scott has over a decade of industry experience in property and technology markets. He has also played an integral role in frameworks for real estate fintech having advised on panels for both industry and government. Prior to returning to Australia, Scott built and worked for a number of startups in Europe and Silicon Valley watching real estate crowdfunding platforms grow from zero to $400 million in lending transactions. Scott is a trained aerospace engineer and has worked on projects such as the International Space Station, the Ariane V rocket and the A380 for the European Space Agency, NASA, EADS and Airbus. 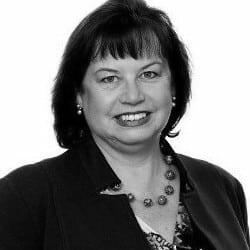 With an extensive career in financial services and private wealth management, Stacey Martin assists wealthy individuals and SME’s with cross-jurisdictional business opportunities including market entry, business matching and strategic connections through a range of specialist consultancies. With a focus on the Aus-China relationship, the Expat Advisors Community compiled the Significant Investor Visa (SIV) educational booklet “Smooth Road to Travel: China to Australia” bringing together a range of professionals with international expertise to deliver integrated solutions for investment migration. In the context of exporting Australia’s financial services capabilities, Stacey will be leading a delegation of fund managers, fintec and professional services to the Asian Financial Forum in January 2017 exploring mutual opportunities with market participants across Hong Kong and Shanghai. An avid student of language and culture, CT is fluent in German, Russian and Mandarin. Has over 10 years’ experience in investments and fund management and has wide networks of Asian markets and in-depth knowledge of industries including Real Estate, IT, E-business. He also has a unique view in internet financial product design. 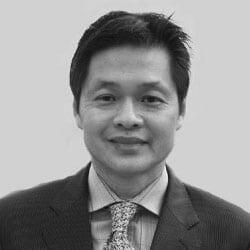 As a key person, he has made investment amount above US$ 300million.Ted used to work for JD Capital as Director of emerging industry investment, Landal Capital as Partner and AIMS as Director of Capital Market. La Trobe Financial is one of Australia’s leading Credit Specialists providing funding and investment solutions to a diverse range of customers since 1952. For over 60 years we have continually proven our commitment to innovation, product quality and superior service. We have lent in excess of $10 billion to over 120,000 borrowers and customers whose financial needs are not adequately met by traditional banking sector. Our diversified funding strategy has achieved product stability unsurpassed in the specialist sector; performing across every economic cycle, including maintaining lending throughout and subsequent to the GFC. Lefand Group and Lefand Services provide total building management solutions; from asset and building management to service maintenance and management programs. Our solutions are relied upon by over 2,500 buildings and projects worldwide, and saves builders, developers, managing agents, owners and occupiers both time and money. Our expertise at bridging the gap between developers, strata and managing agents, owner occupiers and service contractors means we are perfectly placed to help you start relationships the right way and grow them in to long term partnerships. MaxCap Group is an Australian real estate debt specialist with offices in Melbourne, Sydney and Perth. As an investment manager for some of the world’s largest institutions, MaxCap Group is focussed on delivering large scale alternate capital into the Australian real estate debt market. In the last five years, MaxCap has managed in excess of $2bn of 1st mortgage funding and provided more 2nd mortgage debt than any other lender in the country. ZANK & CO. provides various funding solutions including commercial loan and equity investment to Australian commercial property and development projects. Via funding these premium projects, according to customers’ different return requirements and risk tolerances, ZANK & CO. offers its investors fixed-return product with an annual return of 12%, and other products with higher floating equity return. Our superior investment management team has strong capability of data analysis and close network between Australia and China. Combining advanced diversified investment strategy and strict risk control, ZANK & CO. aims to create & accumulate wealth for our customers worldwide. 365financial is a leading Australian financial services organization with specialists dedicated to addressing a range of needs and goals from investors, property developers and individual home buyers. We always delivers a high level of professional services to our clients with the assurance you will achieve informed and successful financial outcomes. Additionally, we offer a wide range of insurance products for domestic and commercial purposes. Whatever your home loan and insurance needs are, the professional team at 365financial can help. Squire Patton Boggs is a full service global law firm. We provide insight at the point where law, business and government meet, giving you a voice, supporting your ambitions and achieving successful outcomes. Our multidisciplinary team of over 1,500 lawyers in 46 offices across 21 countries provides unrivalled access to expertise and invaluable connections on the ground. It’s a seamless service that operates on any scale – locally or globally. It encompasses virtually every matter, jurisdiction and market. And we place you at the core of everything we do. Realty Base Group (RBG) is a technology-based real estate group coordinating resources in relation to land, off-the-plan and existing property through Internet, media, finance and regional franchises in order to minimise information asymmetry and optimise buyers’ experience in the industry. RBG’s core product is Project Mate, which is Australia’s #1 online tool and marketplace to manage and sell off-the-plan projects. It provides real estate developers and agencies with software and transaction services. By far there are 300+ developers and 3000+ agents subscribed to the platform. Real Estate Financial Group (REFG) is a subsidiary company of RBG. REFG was established in 2015 to become an online financial service provider dedicated to property and institutional investors, with a focus on the funds management and investment in Australia’s real estate industry. Our vision is to become Australia’s first internet-based real estate bank. Sentinel Security Group is a national Australian owned company that came into operation in 1998. It provides a comprehensive integration of high-quality security services to residential, commercial, industrial, retail and public facilities. Led by our management team, combining 40 years of practical operational experience in the security industry, we emphasize the strictness of service, discretion and integrity. S-Link – web-based database reporting application.